Making a career choice can be difficult. There are a lot of options out there and several Individuals would be looking for a career that is practical, dynamic and rewarding. With the growth of the trade industry a variety of options is available, especially career as heating engineers. Central heating courses are the way forward for these people. But the question arises, what type of central heating installation training they should be taking? To become a successful in your career you would require qualifications that will show whether you are competent and have the necessary skills to do the job. The best action to take would be applying for a intensive plumbing course, as it places great importance on central heating design and installation. 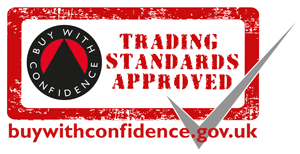 It is obligatory that you make sure the certification you wish to gain is up to date with current building regulations. City and Guilds plumbing courses give you the qualification that complies with the law. Getting a qualification with them will make you highly employable as city & guilds is UK’s leading awarding body. City and guilds plumbing courses are here to make sure they help the person understand the environment they will be working at, following the building codes and adhering to the safety measures. The amount of central heating courses you do may decide on your salary as companies tend to offer higher wages to someone with more qualifications. Wages may depend on the environment and the company you are working with as typically a newly-qualified engineer may earn around £20,000 a year. However experienced engineers may earn up to £30,000 or more a year.